Our guide on starting a musical instrument store covers all the essential information to help you decide if this business is a good match for you. Learn about the day-to-day activities of a musical instrument store owner, the typical target market, growth potential, startup costs, legal considerations, and more! Musical instrument stores sell new and used instruments to customers. They offer instruments used in traditional music ensembles, including brass, percussion, wind, and string instruments. Some stores also offer electronic keyboards, upright pianos, and classical grand pianos. They may also sell musical instruments for rock bands such as guitars (acoustic and electric), bass guitars, and drum kits. Music instrument stores typically also carry sound reinforcement equipment such as speakers, amplifiers, mixing consoles, and microphones. Music accessories are also offered. This includes many items such as sheet music, song books, guitar effects pedals, replacement strings, rosin, reeds for wind instruments, picks, drumsticks, training guides, and music software. It helps tremendously if the business owner has a love of music in many styles. It is important to be able to work well with all types of customers, no matter what level of musical expertise they have, including those just starting to learn as well as top professionals. Most musical instrument stores are fairly noisy environments with customers trying out the equipment/instruments that they are thinking about buying. You will have to be comfortable dealing with all the sounds that are ongoing during the store’s operations. The outgoing cacophony might include a guy banging on a drum set, another wailing on an electric guitar, and another blasting out on a tuba. What happens during a typical day at a musical instrument store? First and foremost, your job is to sell musical instruments and accessories. Also, as the business owner you will need to make sure the store is clean, the inventory records are accurate, the cash register(s) have enough change, the marketing campaign is ongoing, inventory and supplies are replenished as needed, and the staff shows up on time to manage the operations. Your primary customers are parents looking to get their kids into music and music enthusiasts. How does a musical instrument store make money? A retail musical instrument shop buys at wholesale prices and then marks up the price by an average of 40% to sell to consumers. For example, the wholesale price of a quality guitar might be $300 and that guitar would sell for $420, giving the store $120 in profit. By selling goods to customers at a marked up price, they cover the cost that they spent on the goods while also earning a profit. Many musical instruments are pricy, so the opportunity to make profit is high. What is the growth potential for a musical instrument store? There are some very successful national chains, such as the Guitar Center. Many business owners start with a single location and then expand to multiple locations. It helps to be located in a town with lots of high school or college students who could be potential customers. Competition is very severe in the major metropolitan areas known for music, such as Los Angeles and Nashville, so it may be easier to start in a smaller market area with the first store. If there is a local music academy or a school with a major music program that is a good area to consider. What are some skills and experiences that will help you build a successful musical instrument store? Having in-depth knowledge of musical instruments and the differences in quality is very important. Your customers will rely on you to help them make good choices for instruments that they are able to afford. Most business owners in this business are also musicians. Workers in the store are also typically musicians. It is easier to help customers if you know how to play the instruments and can make good recommendations based on personal experience. Another key skill is instrument repair, which can be learned through experience and some classes. What are the costs involved in opening a musical instrument store? The cost for beginning a musical instrument shop depends on the inventory you carry. Besides paying the rent, lease deposit,and utilities, you will need fixtures, a cash register(s), and the things need to run a retail store. You will need to carry inventory. Inventory investment can be very significant and an average store will carry about $50,000 to $100,000 in inventory. This is important because you want to give your customers a variety of choice. Some manufacturers will loan the instruments on consignment to help a new store get up and running. You will have to have good credit to get the manufacturers to lend you equipment to sell, and sign a pledge agreement that makes you responsible for the instruments; however, this is a great way to start with less capital investment. 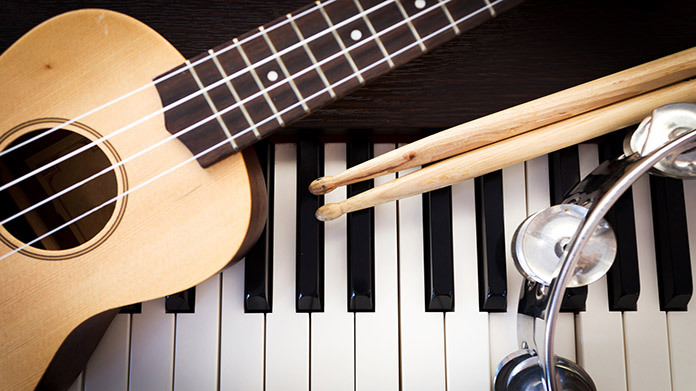 What are the steps to start a musical instrument store? Form a legal entity. Establishing a legal business entity prevents you from being personally liable if your musical instrument store is sued. Open a business bank account. A dedicated checking account for your musical instrument store keeps your finances organized and makes your business appear more professional to your customers. Sponsoring local musical events is a good way to promote this business. Have in-store performances and guest appearances by musical celebrities is a wonderful idea. Radio promotion with live radio events is effective although it can be expensive. Delivering flyers and posting them up, that have a discount coupon offer on them is good to use for any local music programs at schools. Creating affiliations with music instructors by offering them a commission for instrument sales they help make is a good way to create new business. It is important to have the retail shop in a prominent location. This store should be highly visible to anyone passing by. Offering a good customer loyalty program that gives discounts and/or rewards for repeat purchases helps to build up a customer base. It’s important to have a buy-back program, which will allow the customers to sell their used instruments to the store and this allows the store to sell used instruments to those not looking to buy new instruments. You will need to have enough staff working in the store so that customers do not feel neglected. Many stores of this type offer the salespersons a minimum wage with the ability to earn sales commissions as well for the sales that they make. Certain state permits and licenses may be needed to operate musical instrument store. Learn more about licensing requirements in your state by visiting SBA’s reference to state licenses and permits. In addition, most states require musical instrument businesses to obtain a seller’s permit. A seller’s permit allows states to record and collect taxes from goods (and sometimes service) sales. 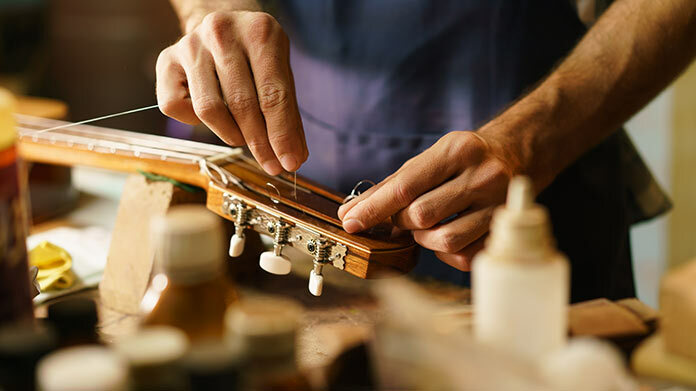 Musical instrument businesses may also wish to look into applying for a resale certificates, which allows retailers to purchase goods intended for resale without paying sales tax, as it is possible to buy a large quantity of instruments wholesale from distributors. In order to play music in a musical instrument store, permission must be acquired from the composer or license holder. Typically, it is possible to obtain a “blanket” license allowing a businesses to play music owned by a large catalog of artists and recording studios. Such licenses can be obtained from Performance Rights Organizations, such as ASCAP or BMI. A musical instrument business is generally run out of a retail store. Businesses operating out of a physical location typically require a Certificate of Occupancy (CO). A CO confirms that all building codes, zoning laws and government regulations have been met. Before leasing, confirm that your landlord has or can obtain a valid CO that is applicable to a musical instrument store. Review all building codes and zoning requirements for you business’ location to ensure your musical instrument business will be in compliance and able to obtain a CO.
Usually, the markup in this business is an average of 40% above wholesale cost. 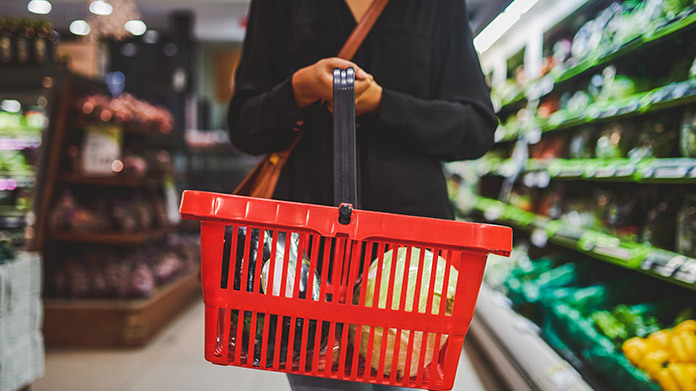 You may have some items on sale and others that are called “loss-leaders,” which are sold at bargain prices to attract customers to the store that might also buy other items. What are the ongoing expenses for a musical instrument store? Like any retail store, the main costs are the carrying costs of maintaining the inventory, rent, insurance, utilities, and staff. Triple-net leases are the type where the tenant pays all the utilities etc. They are typically, $3 to $5 per square foot for highly visible locations depending on the rental costs in the local marketplace. Ongoing marketing expense is very important. National chains such as Guitar Center are always having a promotion that is announced on popular radio stations. These campaigns can easily cost many thousands of dollars per month. How much profit can a musical instrument store make? Some music instrument stores are family–owned businesses that operate from the same location for decades. Smaller communities can typically only support the operation of one of these stores, so they gain the benefit of having a local monopoly. If a store maintains an inventory of $100,000 and turns the inventory six times per year, this means the annual sales would be $140,000 times six which equals $840,000. Of that amount, $240,000 would be the gross profit. Rent and utilities could be around $3,000 per month and staffing costs might be $5,500 per month. Marketing expense could be budgeted at $2,000 per month. In this example, the total expenses for the year would be $126,000 leaving a nice healthy profit, before taxes, for the business owner of $114,000. It’s important to separate yourself from bigger chains. One way to do this would be to offer vintage instruments or rare items. Another option would be to set up an online store to allow for the sale of instruments by delivery or pickup. It’s important to have employees who know how to play instruments and how to fix instruments as well. Side businesses like music lessons and instrument repair are other ways to increase profit. A Detroit based musical instrument store.